Technology continues to have a drastic impact on how the business world operates. Life insurers are no exception. Within the life sector, organizations are navigating their way through a number of emerging technologies. From the evolution of InsurTech to rapidly changing customer needs, life insurance firms need to adapt to today’s quickly-changing market. The claims field, in particular, is being disrupted by continued tech advancements. 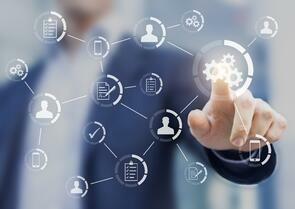 What changes is technology bringing to the life claims industry? How can organizations embrace and adapt to the continued evolution? Chatbots Provide Convenience: The introduction of chatbots to the life insurance process has the potential to provide a more personalized experience to consumers. These chatbots are able to gather data in real-time and quickly respond to policyholder questions. They are able to process claims and utilize pre-determined criteria for instant claims approvals, cutting down on customer wait times. 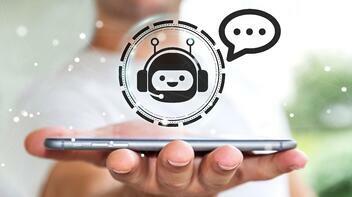 These bots are being used to compliment human interaction by handling simple requests and questions, freeing up claims professionals to assist with more complicated issues. Automated Core Processes Streamline Work: Today’s life insurers are increasingly focusing on automating and incorporating robotics into core processes, including claims. Currently, these systems handle customer data from a wide variety of sources and require significant human interaction. Automation can digitalize these programs to reduce processing time, cut back the need for manual entries and minimize human labor. In addition, robotics can be programmed to handle much of the manual work and enable companies to free up personnel. As a result, organizations are able to provide faster claims resolution and more timely settlements. Smart Contracts Enhance Efficiency: Insurers are exploring how they can leverage blockchain-based technology and smart contracts to increase claims efficiencies. These smart contracts will execute automatically when certain predefined conditions are met. This will help better automate the initiation of life insurance claims while ensuring quicker claims processing. Mobile Platforms Increase Communication: Recognizing the wide-ranging potential of mobility, insurers are using mobile applications as an alternative to traditional communication channels. Customers are now able to submit supporting documents and track the status of their claims through to completion via a mobile app. Integrated Systems Detect Fraud: As claims systems become increasingly integrated, organizations are able to utilize data analytics to comb through a wide-range of information. Pulling together customer data from multiple channels, including social media and connected devices, insurers are able to look for fraudulent behavior and patterns. Predictive models can also be used to detect anomalies in order to flag potential fraud during the claims process. In fact, fraud detection is one of the most popular uses of analytics within the insurance and claims segment. By leveraging technology, insurers are better able to compete in today’s rapidly changing business reality. The claims sector, in particular, is evolving thanks to emerging advances and innovations. What changes are you seeing in your organization?